People & Technology Co., Ltd. specially in 2017 has received many inquiries about RTLS with Smart Factory, Industry 4.0. In addition, several sites have successfully implemented the PoC, and negotiations are under way to start. Today we would like to summarize some cases of this revolution. Dec 2016 ~ mid-Jan 2017, progress competition benchmarking PoC. In the case of factories such as LG Display, which are one of the largest in the world, the process itself is mostly automated, and it is difficult to find out where the actual workers are located in the factory line. Furthermore, because of security issues, workers are not able to carry smartphones, so the means of communication are also limited. If there is a safety problem for the workers from unforeseen situation in big factories, it is important that the location of the worker is top priority to comply with Golden Time for quick help. RTLS is an essential element in Workers Safety part that is a Smart Factory’s filed worker safety manager. Feb 2016, PoC progressed at No. 1 Factory in Eumseong, North Chungcheong Province. This factory, producing solar wafers and modules, is where yield improvement of product is factory’s competitive advantage. In order to improve the competitiveness, they are interested in IndoorPlus+ RTLS (Real Time Location and Smart Sensing), progressed on PoC and considering specific start. HanWha Qcell Eumseoung Factory where is situated in North Chungcheng Province produces world-class solar wafers and moduels. Solar waffers is produced in minutes. In such a production factory, the improvement in yields, in which produced products comply with appropriate quality, is a competitive advantage. Attach sensor beacons that can measure temperature and humidity by factory line and facility, collect such data and analyze the pattern. Wafer production conditions of optimum quality by line and period of the factory are recorded. This help to analze and troubleshoot the problem in the shortest time, ultimately improving the yield of solar wafers. 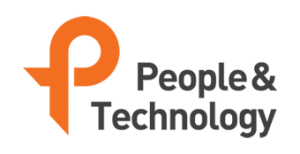 Last week, People & Technology Co., Ltd. had a valuable experience. I visited the factory of the defense company of OOO and carried out the direct line, and I was able to listen to their precious experiences and difficulties. 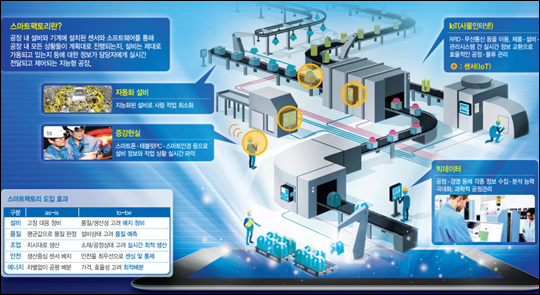 As a leading Korean defense company, it has recently completed the construction of a high-tech new factory and has been introduced in various media as an excellent example of Smart Factory. However, they did not settle down, while working on continuous process improvement, it came to the point of connecting with RTLS. It is to automate manual work input for the start and end of each process that is currently in progress with the bar code through RTLS. The productivity of a factory is to improve the process by knowing in real time how much time is needed for each process and bottleneck in a certain process. Needs time is the most important. This is why we, People & Technology Co., Ltd., are invited to this factory inspection, which is difficult for anyone to enter.